As a leading pioneer in Waterjet technology in the Cleveland area North Tool & Gage (NTG) has much to offer customers in the way of knowledge and experience in this field. 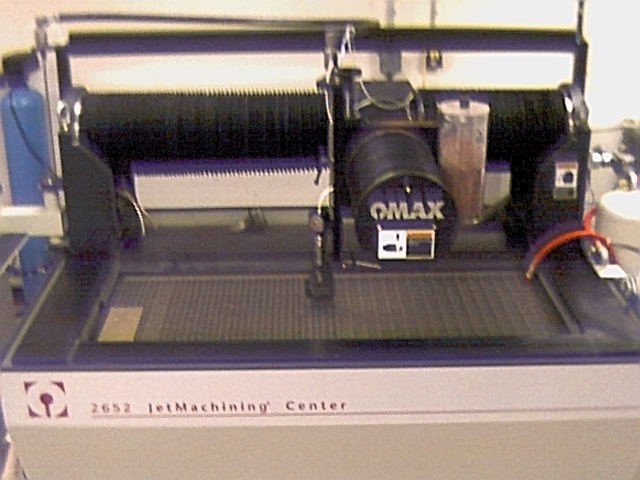 NTG was one of the first to utilize Waterjet technology in the Cleveland area and exposed many other local companies to Waterjet capabilities and cost advantages for the first time. 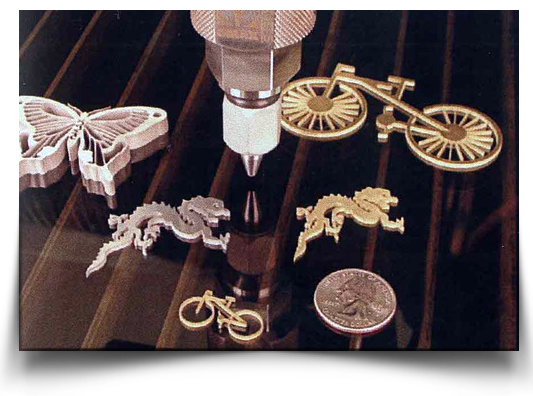 NTG stays on the cutting edge of Waterjet technology and use of Precision Abrasive Waterjet. 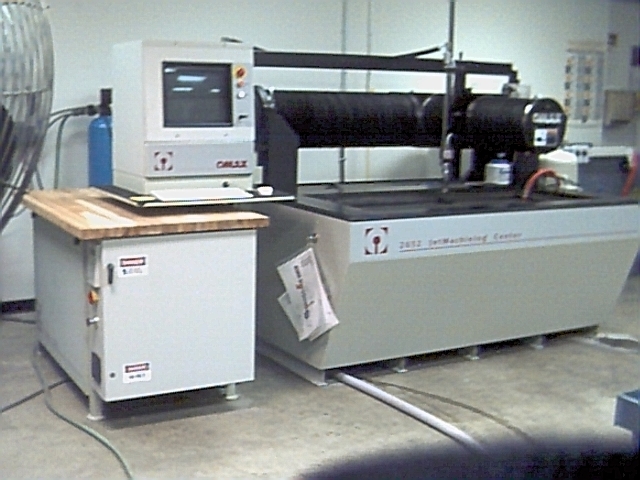 Our 26” x 52” Omax abrasive machining center can handle material thicknesses of up to 5” thick. The exclusive direct drive pump technology also produces a much smoother uniform edge than most of our competitors. Waterjet is ideal for many industries such as: Automotive aftermarket, Aerospace, Military, Electrical, Plumbing, Construction, Tile & Plastics. Due to the ability to cut virtually any material Waterjet can open many advantages to any project our customers may require. With the use of computer aided technology a variety of complex shapes and designs can be produced. Quality edge condition, Minimal burr, No thermal distortion, heat affected zones or stress risers. Quick turnaround time and low set up costs offer cost advantages and flexibility especially for new products or prototyping. Die strip development and the ability to effectively nest parts for optimal material usage saves time and money as well. Limited production runs are also a project advantage. 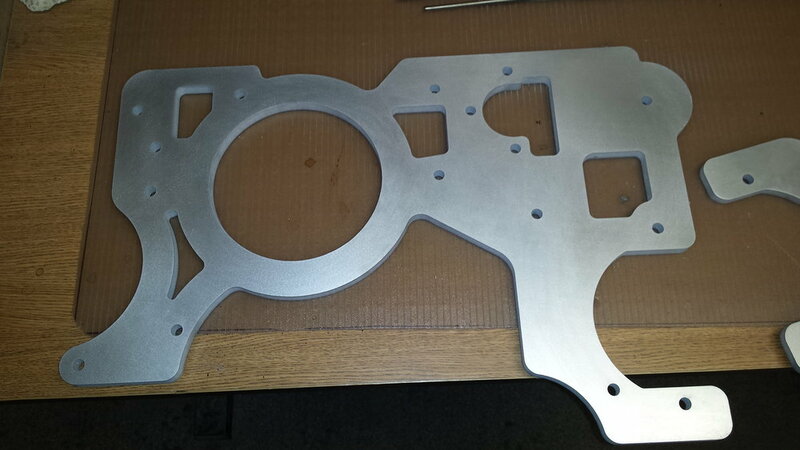 NTG employs a dedicated staff ready to provide you with a high quality cost effective means of producing all your Waterjet and manufactured products. We at NTG believe in building long term relationships for a successful future. Let us be your single source for all your Waterjet needs. Can create geometry from DXF, DWG or scanned images through raster vector technology. Contact us with your manufacturing requirements and our expert staff can begin to evaluate your projects to produce cost effective on time products. Thank you for allowing NTG to present our capabilities to you.